The CR9055 is one of the modules used with our CR9000 and CR9000X dataloggers. 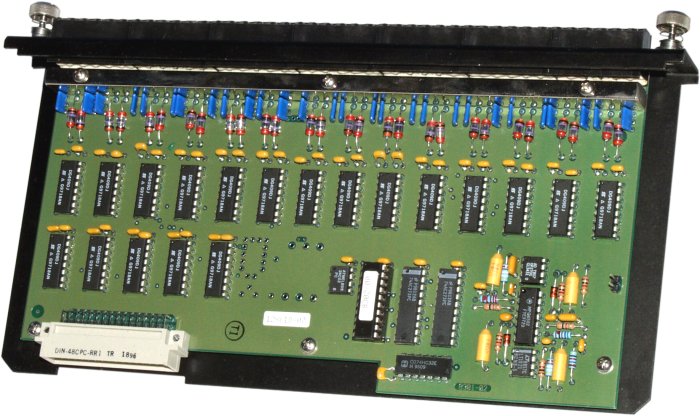 It includes 14 differential (28 single-ended) inputs. The CR9055 is an I/O module for the CR9000X-series and CR9000-series dataloggers. It contains 14 differential (28 single-ended) input channels for measuring voltages up to ±50 V. The resolution on the most sensitive range is 16 microvolts. All input wires attach to the CR9055 via screw terminals.